If you have been following the news about Google+, you would know there are conflicting reports about it. Google Plus has over 500 million members. And every day, millions of people move around the margins of Google Plus through Google Local, Hangouts, Picasa and Social Search. Yet the core of Google Plus, its social network, is hardly used at all. It’s a social networking ghost town. Google+ is now the second largest social network in terms of active users, passing Twitter and ranking only second to Facebook. So much for the “ghost town” theory, huh? Where did all that ghost town talk come from, anyway? How about Facebook’s PR department and snarky bloggers who’ve invested too heavily in other platforms? So it’s up to you whom are you listening. This article won’t attempt to analyze such claims. Google is not revealing its stats and in their absence it would be pure conjecture to lean on one side or the other. This article assumes you want to use Google+ and will explain how to get more followers for your Google+ account. This may sound obvious but take a look at random profiles on Google+ and you will be amazed by how much this advice is ignored. This is business 101 baby. The very definition of business says first create something of value and only then do marketing. Or else what will you market if you have nothing in the first place? Similarly first of all make a brilliant Google+ page. Fill up all details in correct grammar, use a good quality, photo not something taken from your webcam, and insert a huge awesome image as your banner. Ask yourself – when someone will land on your page will he get that vow feeling? If the answer is no, you need to change it. 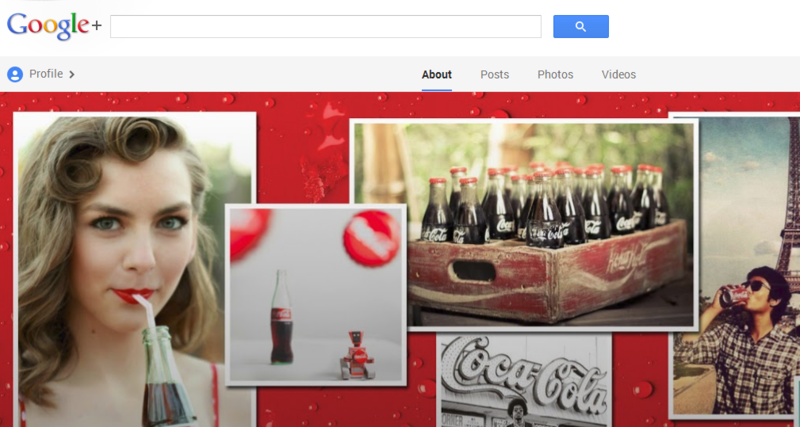 For an example see the Coca Cola’s page whose screenshot is displayed above. The first one was the old URL of HubSpot and the second one is their new one. The latter URL is called a custom URL because it has been customized to suit the profile name. In August, last year Google had announced it is rolling out custom URLs for some profiles and pages, and that it will soon make the feature available to “many more brands and individuals”. You’ll have to check whether you qualify for the custom URL or not, but if you do, it is strongly recommended that you choose the custom URL. It is much easier to remember and share and demonstrates professionalism. As they say, focus on quality over quantity. Don’t spam your followers’ feeds with garbage content from all over the Internet. Share quality stuff. The advantage of sharing quality material is that it will receive more +1’s and more shares from your readers. The people in their circles will then see your content and will come over to check out your page and, if impressed, they will circle you too. Also, sharing quality stuff will demonstrate to your followers that you can be trusted with your editorial judgment. Sites like Facebook and Twitter are older than Google+ and if you are active in the blogosphere since long, chances are the number of your social media followers on these sites is larger than on Google+. Leverage these numbers. Promote your Google+ profile on these social networks. Why would somebody follow you also on Google+ when he is already following you on, say, Facebook? Well you never know. Maybe he is bored with Facebook and wants to spend time on a new social network. Maybe he is a hard-core fan of yours and just wants to follow you everywhere. Since different content works on different social media profiles, you won’t be making exactly the same posts on both the networks, maybe people want to see all what you have to offer and will follow you on Google+ too. Also, when a follower likes your post containing link to your Google+ profile, that post will appear in some of his friends’ feeds. Maybe someone from them will come over and follow you. There could be a dozen other reasons, but the takeaway is promote your Google+ profile on your other networks and you will see results. I said above that you should promote your Google+ profile on your social networks. Isn’t your blog a social network too? After all your blog is the heart of your online presence. Facebook, Twitter, LinkedIn, etc. are all just different platforms to help you in your blogging endeavors. You can write a nice little blog post describing your new Google+ profile and tell your readers to circle you there. But don’t be too self promotional. Remember if your article won’t have value in it, no one will read it. So you can write an article describing why your readers should be on Google+, what features of it will be helpful to them, etc. and then mention about your Google+ profile and ask them to follow you. Here is an excellent example of how Brian Clark did it. Presently he has 46,000+ Google+ followers so it’s fair to follow his footsteps. Do you know of any other way to increase your Google+ followers? How many followers do you have and how did you manage to get them? Let me know in the comments below. This advice goes for just about every website out there on which you want to establish a presence. If you don’t write engaging material on a regular basis, people are not going to come back. Be thoughtful and have a point of view. You don’t have to discuss controversial topics to generate conversation, but you should definitely ask questions and encourage commenters to not only discuss the topics with you, but also with each other. As you read your stream, you’re going to inevitably come across other people’s posts who might be talking about similar things as you, only in a more eloquent manner. You might think, “Darn! I wish I’d posted that!” You can just share the post, and a new thread will be created in your Google+ for your own followers to debate and discuss. Thank you for sharing the tips. We should always be informative and innovative so that more people follow us.. If you know the right ways of using any social networking site then you can even get more and more traffic to your site thanks you had done great work by sharing this article. Getting back into the basics of social media. Thanks for the article. Great for anyone interesting in learning the essentials.